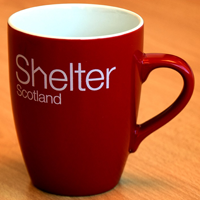 Contemporary red and white ceramic mug featuring Shelter Scotland logo. Perfect for anyone on the move. 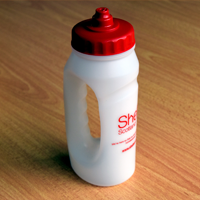 The clear bottle featuring Shelter Scotland logo has a red, valve style cap with a built in handle making it easy to hold when exercising.